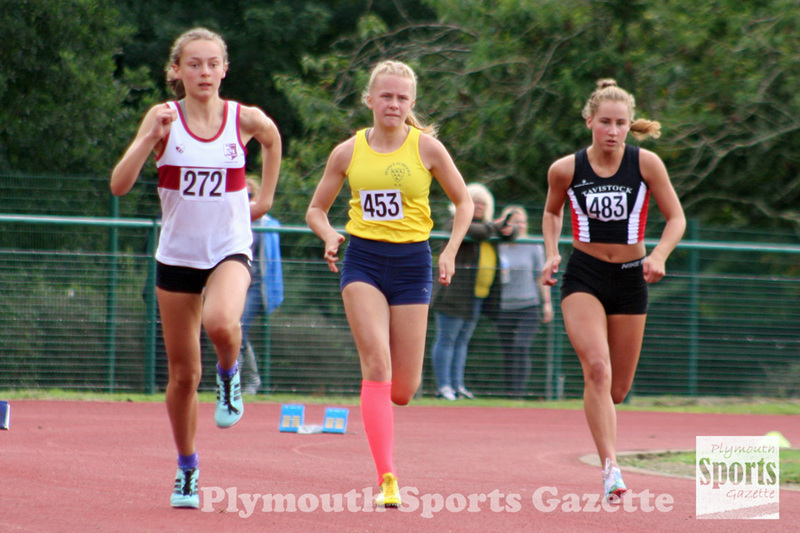 THERE were a number of eye-catching performances at the final Devon Open Athletics Series event of the season at Tavistock on Sunday. The region’s throwers were in particularly good form at the west Devon venue. City of Plymouth youngster Nubia Evans-Shields showed her talent by winning three events. Evans-Shields is ranked number two in the UK in the discus at under-13 level and she eased to victory in that event with 24.84m. She also won the shot with 8.46m and made a winning debut in the hammer with 21.34m. Tavistock’s Edward Fileman is also among the UK’s leading throwers. He took victory in the under-17 hammer and discus and came second in the shot with a new personal best. He is ranked 13 in the country in the hammer and he was not far off his PB on Sunday with a throw of 53.50m. He did manage a PB in the discus, throwing 38.45m, which puts him in the UK’s top 40. In the shot he threw 10.67m, but he was beaten for City of Plymouth’s Ben Foster, who threw 13.09m. Foster is ranked 24th in the UK. Another top 30 national thrower is Tavistock’s Harry Tomlin and he claimed a hat-trick of wins on Sunday in the under-15 boys’ category. He threw 12.32m in the shot, 40.50m in the javelin and a new PB of 28.73m in the discus. There was also a good under-17 girls’ hammer contest. 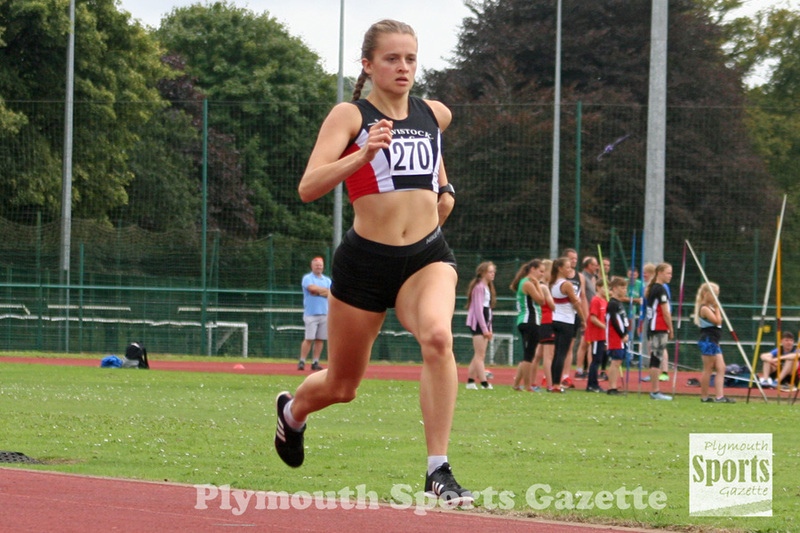 City of Plymouth’s Kayleigh Weston won with 41.80m, with Tavistock’s Hannah Gellatly second with a PB of 34.66m. 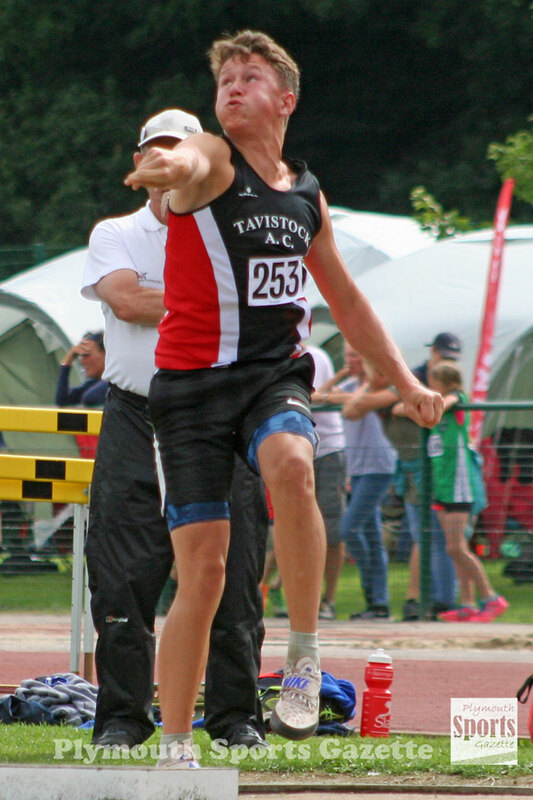 Tavistock’s Charlie Shipton won the men’s hammer with 39.89m, team-mate Bradley Stevens was first in the under-17 javelin with 35.47m, while fellow Tavistock thrower Ella Tomlin triumphed in the under-20 discus (29.60m) and shot (8.80m) and club colleague Ewan Dix took victory in the under-13 discus (19.03m). City of Plymouth’s Dale Weston won the men’s discus. On the track there were some impressive sprinting from a number of region’s youngsters, while some older athletes caught the eye in the distance events. In the under-15 girls’ sprints, Tavistock’s Jamie Bulbring took victory in the 100m and 300m. She clocked 13.19 seconds to win the 100m ahead of City of Plymouth’s Lili Fern (13.64) and Janea Oligan (13.95). In the 300m, Bulbring ran a new PB of 42.48 seconds. Fern was also second in the 200m with a PB time of 28.09 seconds. 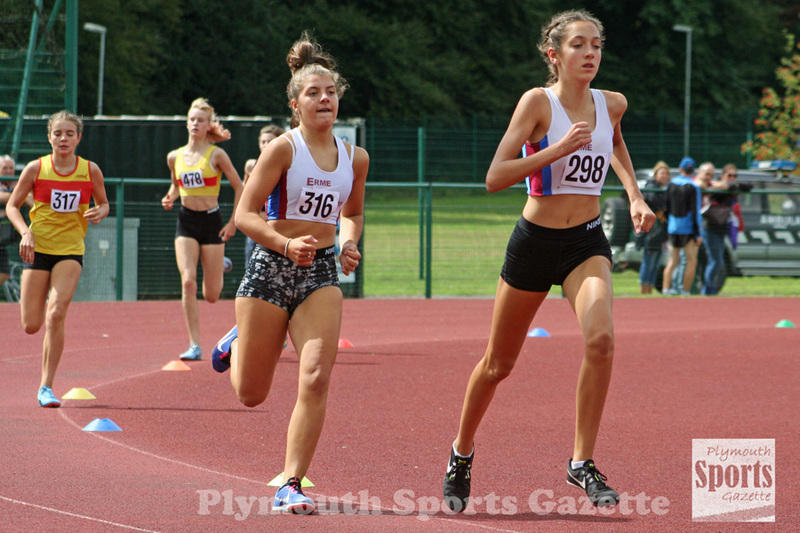 Plymouth team-mate Mali Heard won the under-13 girls’ 200m in 29.58 seconds. There was a good under-15 boys’ 200m where Tavistock’s Jamie Wheeler and City of Plymouth’s Henry Curtis battled all the way to the line. Wheeler just took victory in 25.68, with Curtis clocking 25.86. Curtis did win the 80m hurdles in a quick time of 11.93 seconds, while Wheeler was second in the 100m (12.59), just before his Tavistock team-mate Ben Pitts (12.45). Fellow Tavistock runner George Hillson set a PB of 12.29 seconds in the under-20 100m, while club colleague Rory Summer’s won the under-13 boys’ 200m in a PB time of 29.88 and Asher Sallimore the under-17 200m in 26.31. Erme Valley’s Ruth Green took victory in the under-17 300m in a PB time of 45.23 seconds and was second in the triple jump. Tavistock’s Emma Ryder claimed two wins and two new PBs. She ran 61.27 seconds in the 400m having earlier run 5:15.57 for the mile. City of Plymouth over-50 veteran Simon Anderson won the men’s mile in 4:56.23, while club colleague Molly Shorey was first under-13 girl in the mile with 5:35.32. Tavistock’s Will Russell was first under-15 boy in a PB time of 5:12.07. Plymouth’s in-form distance runner Matthew Bradley enjoyed a day to remember. He ran under nine minutes for the first time in the 3,000m, winning in 8:57.30. He then backed that up by setting a new PB of 16.00.84 to take victory in the 5,000m. Cornwall’s Emma Stepto was first women in the 5,000m. In the 800m there was a new PB for Erme Valley’s Ella Isaias, who won the under-15 girls’ race in 2:26.60, with her team-mate Olivia Travers taking second. Isaias also set a PB in the shot of 7.33m. Fellow Erme Valley athlete Liam Hallows won the men’s 800m (2:11.66), while Tavistock’s Joe Dix was first under-15 in 2:15.58. 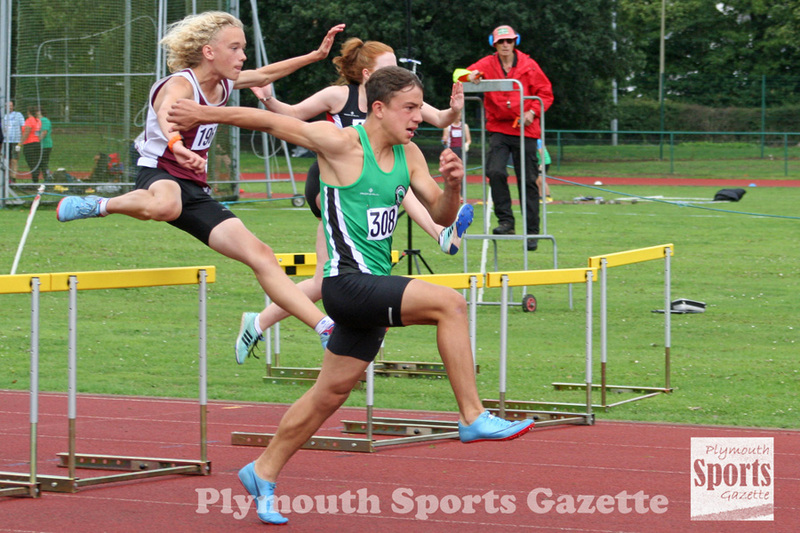 Tavistock’s Ben Pitts won the under-15 long jump with 5.52m, while there was another four-metre plus jump for City of Plymouth athlete Poppy Northcott, who took second in the under-13 event.